A home is not only a place to reside but can also serve as a great investment. How can a homeowner make a return on their investment without breaking the bank at the same time maximizing their profit? Below are some DIY tips that a homeowner can implement without going broke and can be done with little money. Putting up a fresh coat of paint can make a home seem new again. However, eye- catching paint job is a big no-no. When choosing paint colors, your best bet is to stick with neutral colors that will appeal to the greatest range of buyers. Yes, bland colors like white, beige or light grey doesn’t really beg for attention. But the point is you don’t want the potential buyers to see your personality on display, rather you want them to see a blank canvass that will allow them to envision making a space on their own. You don’t have to repaint the entire house though prior putting it on the market, you can redo one or two rooms. 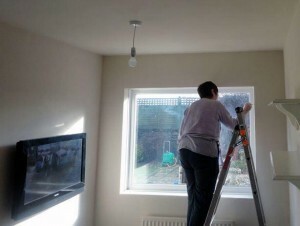 Kitchen and bathrooms are two main areas that needs complete paint job given the high traffic they see. Prior to showing, mop the floors or vacuum clean your carpets. Refresh your hardwood floors and clean and polish vinyl tiles. You don’t need to replace them unless completely needed. Replacing it is a costly expense that will not add greater value to the home. First impression are lasting, so pay attention to the entrance area, you don’t want a potential buyer to walk in to see a floor strewn with boots and shoes. It is important to make minor repairs prior listing, such as fixing sagging shelves and cracked clothes rod, replacing cracked siding boards or repointing brick walls. Check the operation of every door and window and be sure that all light fixtures and wall switches work. Making repairs ahead of time will reduce the chances of a potential buyer backing out of the deal or offer less money for the house. First impression is formed the instant a potential buyer pulls into the driveway or clicks on its image on a web site. So make sure to create a good first impression by keeping your front lawn mowed and your garden weed-free. Tidy up shrubs and remove dead and broken limbs from trees. You can also add flower garden or some raised beds for a vibrant green space not only making sure that your yard looks better but also appeals to any buyer with a green thumb. Backyard is important to home buyers today, it gives them privacy from other homes. Prior selling you can paint your fence or hide it by installing a privacy screen or vertical garden. You can do also plantscaping using potted plants to create layers and visual excitement. Try to avoid expensive renovations unless they are absolutely needed. In the end, buyers also have their own plans for renovating, so keep it simple. You may have some great feedback, and we always love to hear from our readers. If you are interested you can also search homes by CLICKING HERE. We are also able to give you a FREE analysis of the current value of your home. 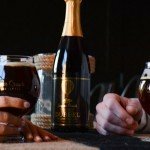 The Sugar Creek Brewing Company is dedicated to brewing high quality ales in a style and commitment representative of the Belgian Trappist monks. 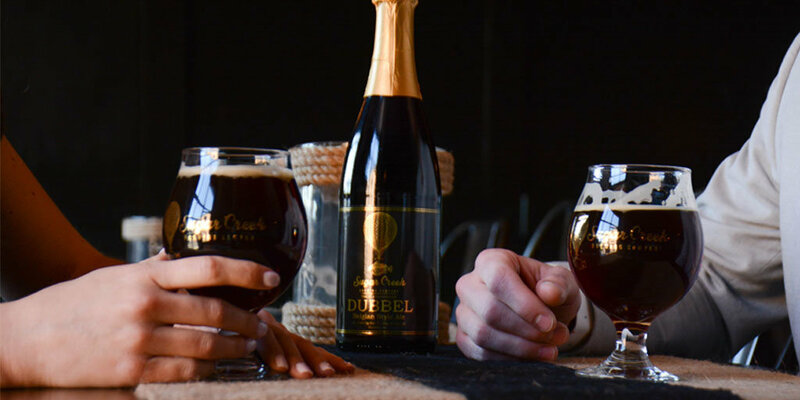 Their philosophy combines the watchful eye of a Trappist Monk with the technical precision of a nuclear engineer to craft fresh, full-flavored beer that is immeasurably satisfying and intensely drinkable. Sugar Creek infuses traditional recipes with modern tastes and techniques to create beer that nourishes both mind and body. They have Food trucks Mondays through Wednesdays and they serve their own food fare Thursdays thru Sundays. You should definitely try a Panini, they are to die for! 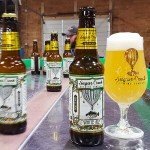 They usually have free brewery tours on Saturdays too! We had the opportunity to talk with one of the owners Eric Flanigan and here’s what he has to say..
How long have you been in business? 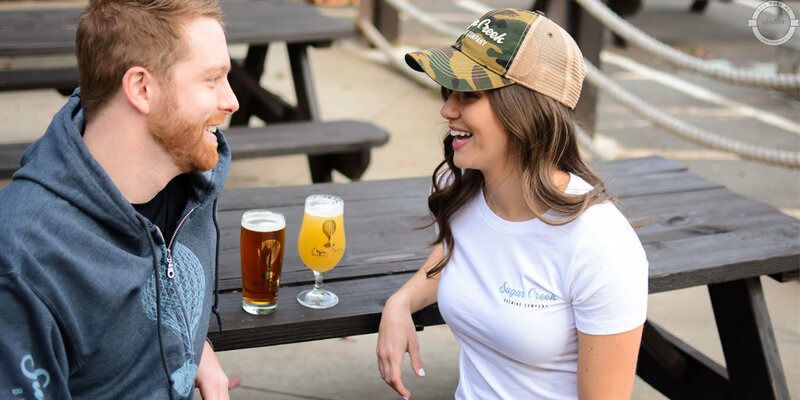 Sugar Creek Brewing Company is just over a year old. We’re celebrating our two year anniversary on October 15, 2016. Mark your calendars, we have some really awesome things lined up for the party. What do you love most about being your own boss? My favorite thing about being my own boss is coaching and developing staff. Joe Vogelbacher (the other owner) and I also enjoy creating a positive company culture. What makes Charlotte so special? The people are the best! You can’t beat the Southern Hospitality found in this city. Have you always wanted to own your own business? Yes. For someone visiting Charlotte, what is the one must see? If you’re visiting Charlotte you need to check out the White Water Center. They have something for people of all ages. What is your favorite local restaurant? There are way too many great restaurants in Charlotte to pick just one! Do you see yourself opening another branch on other locations? 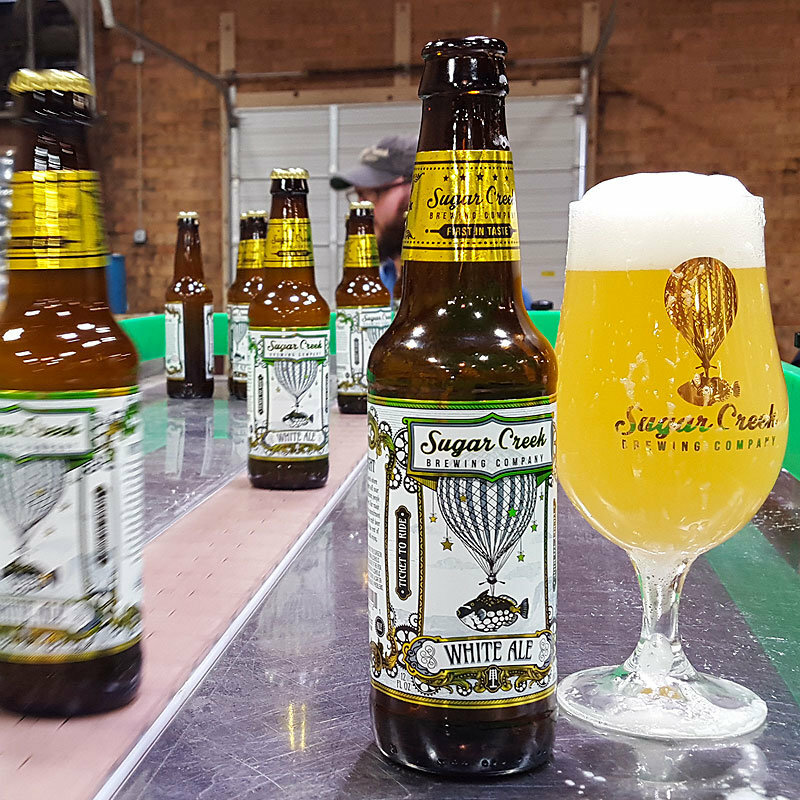 Sugar Creek beers will be available in Greenville, SC and Columbia, SC starting on June 20th. Raleigh and Charleston would be two other areas that would be great to have a presence in. Why do your customers stay or do repeat business with you? Our customers appreciate our relentless commitment to brewing high quality, great tasting beer. In addition to that, we have a lot of repeats Tap Room customers, because our team does a great job making each customer’s experience one they take with them far beyond the brewery walls. To what do you attribute your success? Our success can be attributed to old fashioned hard work. Every person working at our brewery works their tail off and goes above and beyond. What do you look for in an employee? 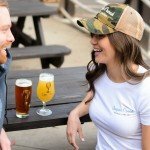 We look for people who are genuinely passionate about beer and their job. What is unique about your business? Everyone at our brewery has some level of Cicerone certification. The Cicerone Certification Program certifies and educates beer professionals so they know how to serve, store, taste and pair beers. 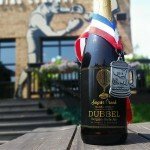 We think beer education is extremely important. We want to be able to share that information with our beer drinkers, so they can have the best drinking experience possible. What are your responsibilities as the business owner? That’s a loaded question! I do more things than I can list, but I mainly focus on developing our team, overseeing distribution and wholesale account sales, coordinating production and brand presence. The Sugar Creek Brewing Company is such an awesome brewery! Beautiful settings, delicious brews and great service. Almost everything they do is exemplary and among the best available in the area. And if you are looking for a large room to host an event, they have a side room that they can set up for your group that is an ideal place to have a reception. 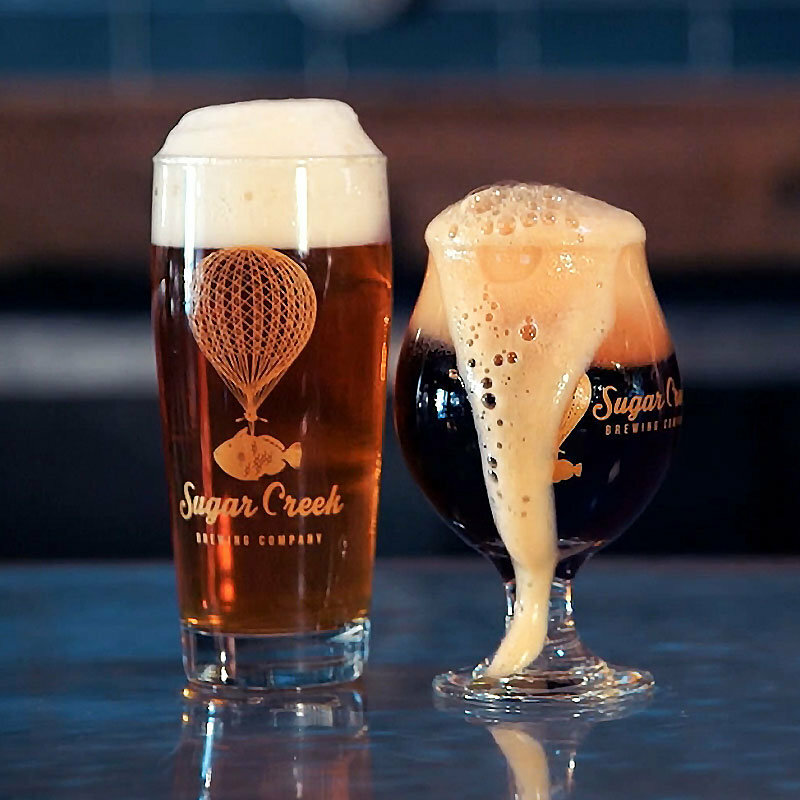 Sugar Creek Brewing is definitely a can’t miss if you are beer-venturing in Charlotte.